The essential guide to achieving financial freedom. With contributions from some of the world’s sharpest personal finance and investment experts, Financial Freedom Explained is the essential guide for anyone looking to gain control of their finances. Written in practical, jargon-free language, chapters include 100 Tips For Saving Money And Getting Financially Fit, How To Pay Off Your Mortgage 10 Years Sooner, Financial Freedom And Network Marketing, Aligning Your Money Mindset With Your Personal Goals and much, much more. Financial Freedom Explained is edited by Kizzi Nkwocha, publisher of My Making Money Magazine and My Entrepreneur Magazine. The essential guide to achieving financial freedom. With contributions from some of the world’s sharpest personal finance and investment experts. 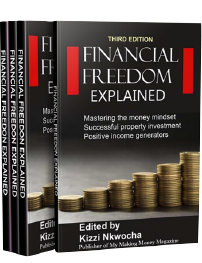 Financial Freedom Explained is the essential guide for anyone looking to gain control of their finances. Dave Nelson, Colin Lawson, Craig Richards, Chris Gray, Amanda Cassar, Peter Locandro, Clayton Daniel, Jane Horn, Bradley Beer, Narelle Lee. We have your best interest at heart which is why we like our accomplishments and our clients to speak for us. 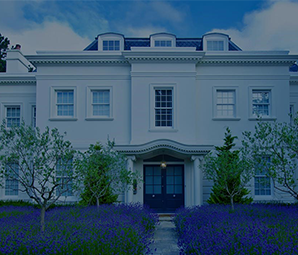 Risk Warning: Your buy to let property may be repossessed if you do not keep up repayments on your mortgage.